As I'm sure you're sick of reading about, I have a big running goal this year: to PR my 10K. I set this goal during the summer of 2015, when I was at the heaviest (and slowest) I'd been in five years. I almost said it as a joke, because of the impossibility of it. But once I said it out loud, "I'm going to get back to my goal weight and PR the 10K next year," I decided to give it a try. The first step was getting back to my goal weight, because I knew I wouldn't be able to run my fastest with an extra 30 pounds on my body. 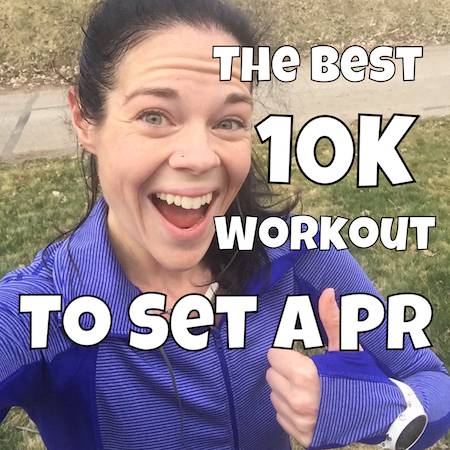 I researched for what felt like MONTHS about the perfect training plan for a 10K, and I tried out a few before making any decisions. One article that I came across, however, has stuck in my mind the entire time I've been training: Greg McMillan's "The Best 10K Workout". 3 x 2 miles at goal 10K pace with 5 minute jog between. I was intimidated immediately after reading it, but throughout the last several months of training, I just kept that in the back of my mind, knowing I'd want to try it before race day. The first workout he suggests to work your way up to "the best one" is 6 x 1 mile at goal pace. When I started training, that was not even a possibility for me! I could barely run a sub-9:00 mile, let alone a sub-8:00 mile (or six of them in a row!). Seeing that made me sort of feel like I'd lost before I even started training, but I decided that I'd train in my own way and hopefully nail that 3 x 2 miles workout one day before my race. McMillan suggests doing "the best workout" 9-12 days before your goal race, and today I am 19 days away. However, I decided to give it a whirl today, because I honestly just wasn't sure how it would go. And if I failed to complete it, I wanted to have a chance to try again during that 9-12 day window. I was planning to do it yesterday, but I had a sore throat for a couple days, and I was expecting to get sick, so I rested yesterday. Today, I felt better when I woke up, so I decided to give it a try. 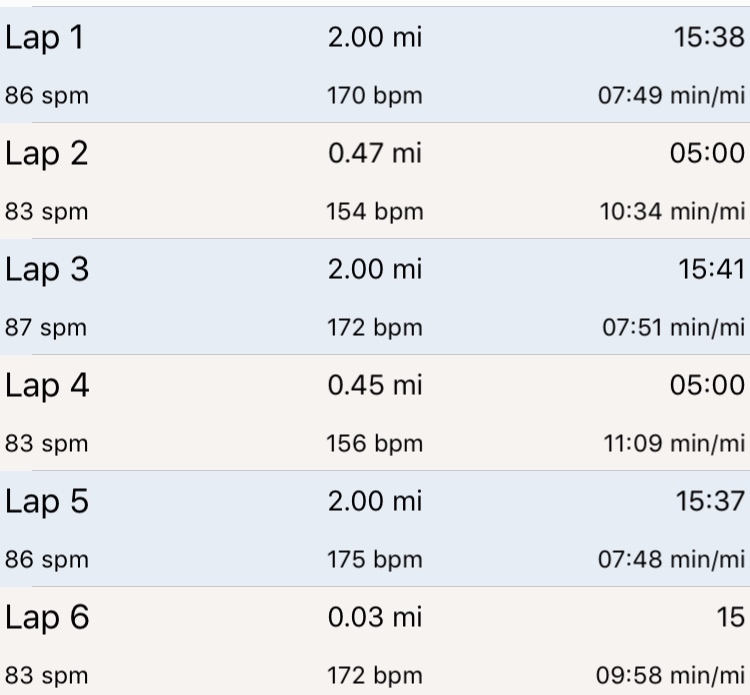 I set my Garmin for 3 x 2 mile intervals with 5:00 recovery between each. I wore the shoes I plan to wear on race day (my new pair of Ghost 8's). It was a little windy this morning, and I wanted to get out there before the wind got any stronger. I took a deep here-goes-nothing breath, started my Garmin, and took off running. I felt good--it's funny, I notice almost immediately whether it's going to be a good run or not. My legs felt fresh and I felt light and springy. I started out too fast (per usual) so I concentrated on slowing it down to get as close to goal pace as I could without going over. I was running a super familiar route, so I knew where the two-mile mark was, and I just focused on getting there. I tried not to think about the fact that after the two miles, I'd only be a THIRD of the way done with the workout. That first two miles actually felt really great--I wasn't dying, and when my Garmin beeped to jog, I felt like I could have continued (not sure about four more miles, though! ha). The five-minute jog went by way too fast, and then the Garmin beeped to start my running again. This time, I knew I was going to turn around midway through the interval, so I was just focusing on that. Breaking it up into smaller segments made it go by faster. My jog was really slow, because I was dreading the final two-mile split. But after five minutes, my Garmin beeped, and I started running hard again. The first half-mile was directly into the wind coming off of Lake Erie, and it wiped me out. My pace was at 8:07, and my heart rate was 180 (over 175 is when it gets too difficult to maintain). I almost gave in at that point, because I felt kind of defeated, but I decided to at least finish out the mile. I hoped that once I turned away from the wind, I would catch my breath and feel better. Thankfully, it worked! 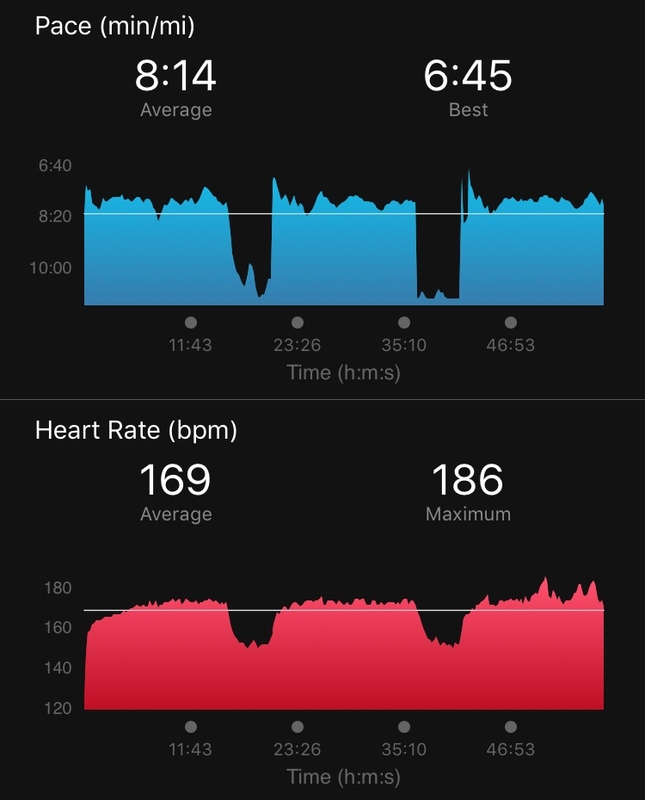 Once I turned away from the wind, my heart rate dropped back down to 174-ish, and I was slowly able to make up the time that the wind had cost me. My pace got down to 7:53, and I just tried to hold it there. I wasn't trying to go any faster, because I really just wanted to finish! When I knew I had about a mile left, I thought, "Maybe I'll just stop after this mile, and then next week, I'll go for all six." I looked at my Garmin, and saw that I actually only had 0.93 miles left; when I saw that, I knew I would be able to just finish it. I was even able to pick up the pace a little, knowing it would be over with soon. The closer I got to home, the longer it seemed to take... but finally, I heard the Garmin beep. I had DONE IT! I really couldn't believe it. I just did Greg McMillan's "Best 10K Workout", and I nailed my pace! I was SO excited. 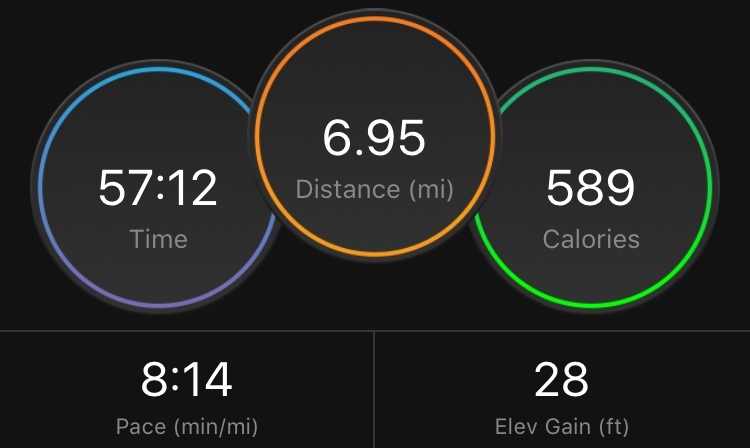 Once I uploaded my run, I saw that even with the jogging breaks included, this was my second fastest six-mile outdoor run ever (the first being my 10K PR from April 2013). I feel super confident going into my race now. There are a lot of other factors that could affect my race--I'll be in a different time zone, eating food I'm not used to, and my whole routine will be out of whack. Not to mention the pressure I feel! But I do feel like I'm in the shape to run a PR if everything goes well that day. YAY!!! That's Amazing Katie!!! Congratulations!!! You are going to rock it!!! 19 days!!! Yippee!! I didn't get into nyc, so I gotta find myself some fun destination races for this year!!! Any ideas?!? Awesome job!! Gotta love that runners high! Awesome!!! So happy for you! !